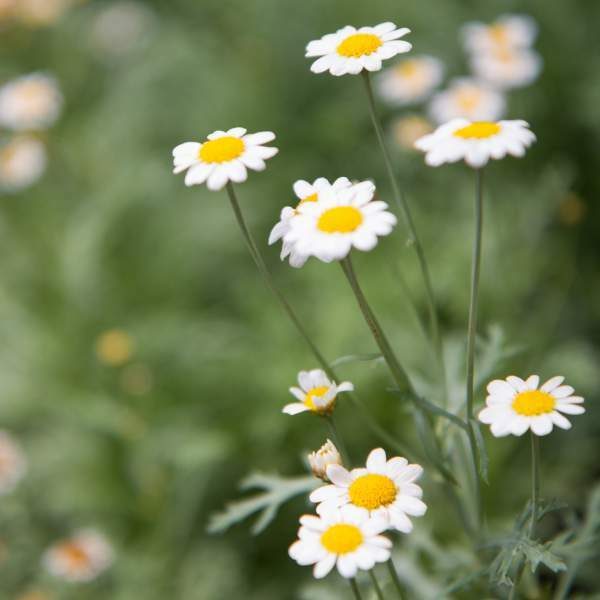 Argyranthemum (also known as Marguerite, Marguerite Daisy, or Dill Daisy) is native to the Canary Islands. This shrub-like perennial maintains an upright habit with daisy-like blooms all summer long! Your customers may want to choose Argyranthemums for their ability to attract butterflies and other pollinators. Their blooms bouquet much like a Chrysanthemum and are about the size of a half dollar. Argyranthemums can be used in landscaping, flower beds, borders, window boxes, or containers and combination planters. Propagation is prohibited on patented varieties. For best results with Argyranthemum, we recommend using a constant feed program of 150-200 ppm N. Maintain a pH between 5.8 - 6.2. Can be grown pot tight in an 1801 or 4 inch pot. Whiteflies, aphids, and thrips are the biggest pest problems with Argyranthemums. Dana White are not prone to many diseases, but watch for botrytis while the days are short. This grey rot is usually associated with wet or humid conditions. You can prevent botrytis by allowing the plant to dry out between waterings, allowing for good airflow in your greenhouse, and spacing to allow the sun to penetrate to the soil level. The most common chemicals used to treat botrytis are Medallion and Banrot. Use them as a drench according to each label’s instructions.